This is the Rally Raid G 310 GS. 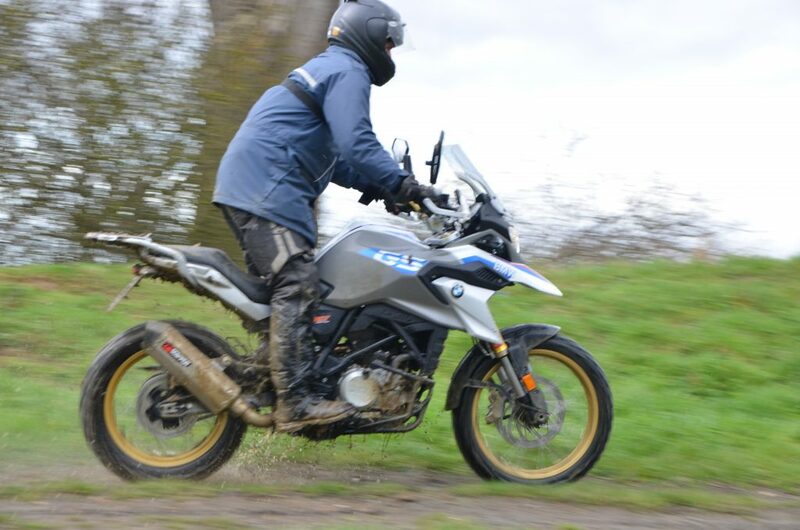 It takes a standard BMW G 310 GS and by the powers of suspension, wheels and other componentry, transforms it from slightly underwhelming budget adventure bike into something far more likely to excite. Visually it’s hard to argue the Rally Raid upgrade as anything but a triumph. More aggressive, better balanced and with a higher quality touch to the detailing. It’s not a cheap upgrade, but it is a good upgrade. The BMW G 310 GS was a bike launched at the tail end of 2017 and based on the road going R version. It featured larger 19-inch front wheel, longer travel suspension and revised styling to give it a more adventure bike look. The price was on par with the Honda CRF250 Rally and Kawasaki Versys-X 300 and as a budget friendly option it ticked a fair amount of boxes. 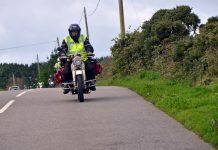 Its 34bhp single cylinder engine had enough power for most road conditions and away from the Tarmac it performed adequately although not remarkably, due to suspension that was too soft, wheels that were cast aluminium not spoked and a riding position that just wasn’t tailored to long distance adventure riding, especially when stood up. It was a bike designed to appeal to a global market, particularly those in the emerging markets of India and South East Asia. As a result it could be considered a GS-lite, compromised to some extent by its price point, leaving plenty of room for improvement. 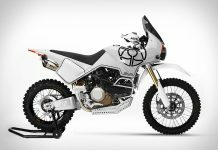 In steps Rally Raid with improvements that could make the G 310 GS the bike some might say it could, and should, always have been. Rally Raid is a UK company ran by husband and wife John and Liz Mitchinson and helped by their son Adam. They’re not a big company, making their mark a decade ago by designing and selling bolt on improvements for the KTM 690, almost as a side business to their injection moulding company. This side business took off and from that came the CB500X project in 2015, Rally Raid working with Dutch suspension specialists Tractive to give increased suspension travel and ride quality, as well as making their own in-house spoked hubs and increased diameter wheels to turn this humble commuter into a bike that could take on the world. Rather than simple bolt-on accessories, Rally Raid were fundamentally altering and improving the dynamics and geometry of mass produced machines in order to fully realise their potential. 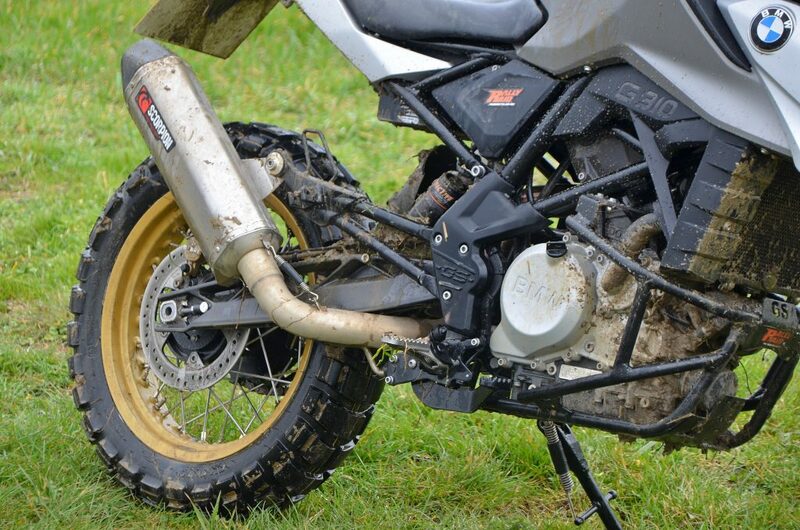 As said at the start, the G 310 GS’s biggest flaws were its wheels and suspension. Rather than spoked wheels that are common on adventure bikes for their added strength and flexibility, BMW fitted the 310 with cast aluminium wheels which can crack if used aggressively off-road. The suspension of the 310 also had room for improvement, on the soft and with little adjustment, only on the rear for preload. Then there was the standing position that was a little too cramped for comfortable off-road riding with bars that tucked too low and too close to the rider. Essentially, a full on enduro bike is hard to make suitable for long distance road riding, whilst the larger capacity adventure bikes are great on the road but could be considered too heavy and cumbersome for really enjoying the time spent away from the Tarmac. Given the absence of any off-the peg mid-size solution, not least until the Yamaha T7 and KTM 790 Adventure come along (weight and price will put those beyond the reach of many as well), it was Rally Raid’s intention to plug that gap by modifying a stock bike. The tubular cradle sump guard adds toughness to the bike, whilst the Scorpion exhaust improves both the sound and ‘feel’ of the engine. It might not add power, but it definitely adds character. Wider platform foot pegs the next item to upgrade. The biggest change are the wheels. Rally Raid offer a choice of anodised black or gold available in tubed or tubeless fitment. Stainless steel spokes come fitted as standard, with the hubs all cut in-house from billet aluminium on a CNC lathe. The rims retain the OEM brake disc fitments, bearings, seals, ABS sensor rings and the complete cush-drive/sprocket carrier assembly, shaving 1.15kg from the front wheel, with the rear counteracting that by being 2kg heavier, mainly due to more robust construction. The argument for spoked wheels over cast is that they can endure greater impact on rough terrain withouht cracking, especially at low tyre pressures. In this instance, they also look much better. Then come changes to the suspension, with a new rear shock developed in conjunction with Dutch suspension experts Tractive who were founded when WP relocated to Austria and many of the original staff members deciding to stay to form Tractive. The rear shock is now not only stiffer, but also adjustable for preload, compression and rebound damping, with an easily accessible remote hydraulic preload adjuster a £238 option. 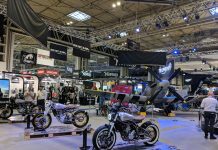 Several versions of suspension are available, with the Level 1 kit retaining the bike’s 835mm seat height, while the Level 2 kit gives a lift front and rear of 25mm, raising the seat height to 860mm and giving greater ground clearance all-round. The Level 2 rear shock also includes individual high and low speed compression damping adjusters, as well as a Progressive Damping System (PDS) to give the more off-road focused owners the same kind of specification you’d get on a high-quality dual-sport/dirt bike. Both Level 1 and 2 kits can be supplied in a range of spring weights to suit individual riders and their requirements. For shorter riders, there’s also a lowering option of either 10mm or 35mm, bringing the minimum seat height down to a very manageable 800mm. The upgrades to the rear shock are matched by new internals for the front forks that now get a dedicated linear-wound main spring and low-proﬁle billet aluminium adjustable preload caps. The idea with the suspension upgrades is to rectify the softly sprung non-adjustable set up of the standard items. 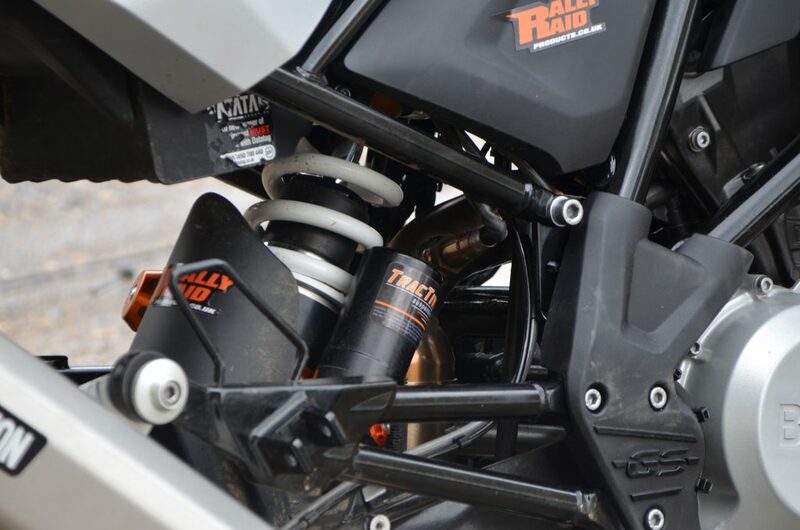 Rally Raid say the kit is easier to fit than that on the CB500X, mainly due to the main spring being in only one of the two fork legs – the right leg – with the left containing only a smaller ‘helper’ spring, there to stop the fork bottoming (and topping) out. There’s also no dog-bone linkage on the rear, meaning that the shock absorber bolts directly to the swingarm mounts, reducing the number of components to install. This lack of linkage would also be the reason to choose the Level 2 kit (over the Level 1 kit), as the Progressive Damping System in the rear shock mimics the characteristics of a bike running a rear linkage, something that comes into effect when aggressively hard off-road. 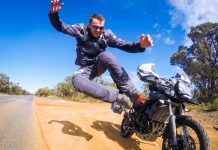 Someone who’s not going to be riding hard off-road and who just wants improvements to the on-road suspension performance will probably just be as well with the Level 1 kit. The engine in the 310 GS puts out 34bhp and likes to rev. It can be a bit buzzy and certainly benefits from the Scorpion exhaust which gives it more bass. Light flywheel means that it requires clutch slip at low revs. Service intervals of 6000 miles are pretty decent in this small adventure bike category. 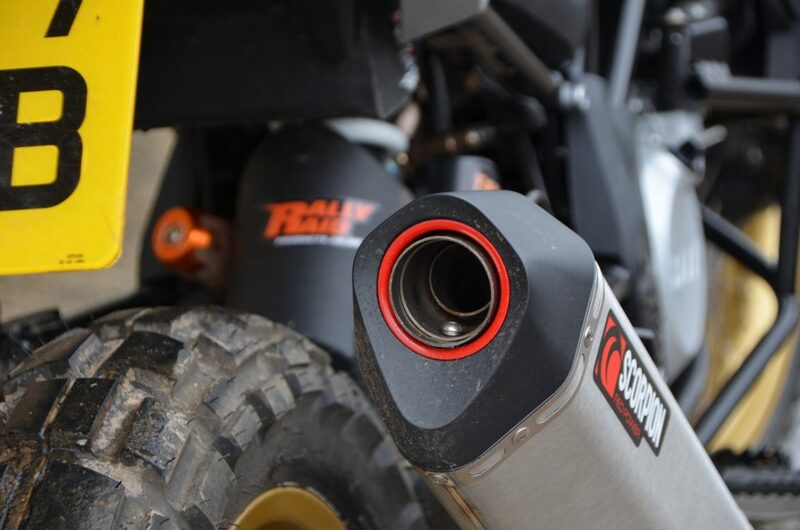 Rally Raid has developed its own tubular engine guard to give better protection to the bottom and sides of the engine than the standard plastic guard. Two variants will be available, one for more extreme conditions, with quick release fasteners and increased protection. 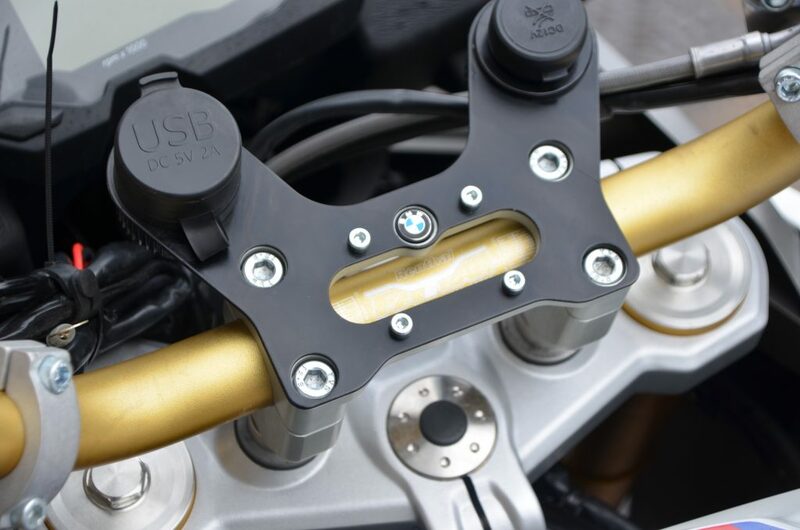 Custom bar risers have also been designed allowing fitment of wider Renthal Fatbars, with a new auxiliary mounting plate taking both GPS and USB/12V auxiliary sockets and mounts. Rally Raid also tasked screen makers Powerbronze to develop a new taller screen, tailored to allow enough clearance for heavy-duty Bark Buster handguards at full lock and exclusive to Rally Raid. British company Scorpion were also tasked to develop a high-level exhaust system. This was a trickier job than expected as the engine in the G 310 GS is reverse mounted, meaning that the exhaust exits from the rear of the bike rather than the front, with the header pipe and end can manufactured as a single one-piece unit. It meant that a complete full system had to be developed. The aftermarket exhaust shaves 2.6kg off the standard item, with the weight difference between the stock bike and the Rally Raid equipped machine bring negligible once all changes have been accounted for. The upgraded Level 1 rear shock with the standard ride height comes in at £478.00 and £238.00 for the fork kit, or £958.80 for the taller Level 2 rear shock and fork internal package. Heavy duty spoked wheels cost £990.00 for tubed, and £1258.00 for the tubeless options. The adventure engine guard retails for £238.00, the taller windshield for £109.56 and the Scorpion Serket exhaust system from £378.00. All parts are available separately, and it can all be installed – and easily removed to revert back to stock – at home, with any special tools required supplied as part of the kit. Order everything fitted to the demo bike seen here and added to the you’re looking at £2,684.36, plus the cost of tyres and Renthal bars on top of the £5,100 for the bike. 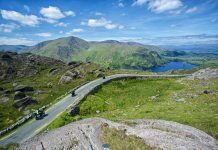 Fitting the kit to a second hand bike might make better economic sense, with some low mileage bikes available from BMW dealers for around £4000. The saving from buying a new bike would pay for a set of new spoked and tubeless rims. The Level 1 upgrade kit maintains the stock bike’s 835mm seat height, whilst Level 2 ups ride height by 25mm. The Level 2 rear shock also includes individual high and low speed compression damping adjusters, as well as a Progressive Damping System (PDS) that helps compensate for the lack of dog bone linkage at the rear. Visually the changes make a huge improvement to the stock bike. Spoked rims give a more aggressive appearance, then there’s the detail in the rear shock, new billet hubs, triple clamp, engine guard, exhaust and screen which all work to lift the overall sense of quality about the bike. There are a lot of nice touches. You can certainly see where the money’s been spent. At 855mm the seat height on this demo bike fitted with the Level 2 suspension kit is 25mm taller than stock, but it sits slim and doesn’t feel the 169 kilos of the spec sheet. It’s here where you have to be realistic about what this bike is and what it’s not. This isn’t a light weight dirt centric machine. It’s built to be a true dual sport, mixing road with off-road, and so whilst some will always argue for less weight, in real terms it can never be as light as some people might like it, simply because it has to work on the road just as well as it does on the trails. It feels slimmer and lighter than a Honda CB500X and less intimidating and tall than a Kawasaki KLR650. It also feels lighter than a Royal Enfield Himalayan and just a touch weightier than a Honda CRF 250L. For what it is, the weight is perfectly acceptable. The riding position is significantly improved thanks to wider Renthal bars and risers. Taller riders may still feel cramped due to the bike’s smaller dimensions but those below six feet should be fine. The wider bars give you and the bike a greater sense of presence on the road. There’s also extra leverage for cornering and you sit more upright than you do on the regular bike. With those high and wide bars and the increased travel in the suspension it does feel more like a dirt-bike that the stock machine. The knobbly Anlas tyres possess the same dullness at turn in as all block tread tyres. Price is a big consideration for choosing them over the Continental and if they wear okay then there’s little reason not to make that saving. The Powerbronze screen finishes the bike nicely, both from an aesthetic point of view but also from a practical perspective, giving more protection from the elements and also adding a sense of presence about the bike, which also comes with the more aggressive riding position and wider bars. It feels more like a grown up mid-size machine than the 310 GS does in stock form. It’s mainly an illusion, but it does seem to work. What makes a big difference is the exhaust, removing the raspy, tinny sound of the stock item and replacing it with a much deeper bass that has a much brawnier sound under load. It’s hard to say if it’s actually improved performance or not, but the perception of performance has certainly increased. There is more travel in the uprated suspension and therefore a bit more dive and squat under braking and acceleration. Some people aren’t necessarily going to feel a huge benefit of the suspension upgrade, especially if they’re at the early stages of their riding career, and so if visual improvements are all that you’re after then maybe go without the suspension upgrade for now and see if you need it further down the line. That’s the whole point with the Rally Raid kit; you can buy it in drips and drabs and slowly built up to the completed bike. In terms of performance the 310 GS definitely has more top end zip than the Himalayan. With 34bhp it does accelerate that bit harder than the Royal Enfield with its 24.5bhp, or the equally powered CRF 250L. It won’t match a Kawasaki Versys 300 for performance, but at this end of the market it definitely has enough performance for everyday riding. It likes to rev and can feel a bit flat low down. Some question whether a small capacity engine is big enough for road work, and much depends on your mindset and your route planning. Indeed, you might not want to do a big hit on the motorways down to the south of France on a 310cc, and you probably wouldn’t want to take a pillion on a run like that either. But you have to accept that and pick your bike accordingly. The 310 GS will cruise at around 70mph, the seat is comfortable and the bike physically large enough to not feel cramped. Soft luggage frames will be available shortly to complete the travel package. 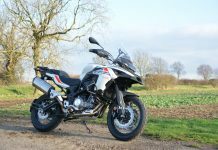 It’s just a shame BMW didn’t give the 310 GS a bigger tank, as at 11litres it’s going to be running low at around 150 miles, which isn’t ideal and compares badly to the Royal Enfield Himalayan (15-litres) and favourably with the Honda CRF250 Rally (10.1-litres). The bike in stock form will still be able to tackle these kind of conditions and still get through them. It’s when pushing on at a higher pace on more flowing terrain that the changes, mainly to the suspension, will really come into their own. For riders in America and Australia where trails are faster running than they are in the UK then the upgrade kit would make a big difference. The engine is tractable enough once rolling but the light flywheel means that it does stall easily, requiring a fair bit of clutch slip if you’re trying to take off on muddy or steeper surfaces. Shorter, span adjustable levers are on their way, with Rally Raid also keen to modify the foot controls to make them less exposed to damage, but that’s a development for another day. The suspension remains the highlight. The suspension on the stock bike is too soft and prone to bottoming-out. On high frequency bumps and ruts it just doesn’t have the control under compression and rebound to make for the rewarding ride you were hoping for. At a steadier pace it’s fine, but pushing on it soon got out of shape. That’s all gone now, with Tractive building a shock and springs to make the best of the 310 chassis. It’s a revelation as much as transformation, a reminder of just how valuable suspension quality is to the overall ability of the bike. We talk in power and weight, but it’s the suspension which makes the most difference, especially on the trails. You can push on harder now, the bike more controllable and composed. Riding hard on wet Northampton lanes doesn’t push the new set-up anywhere close to the limit, but you can clearly tell the limit is significantly higher than it was on the stock bike. For me, the changes make a much bigger transformation on the 310 GS than they did on Rally Raid’s previous project; the CB500X. That bike was hampered by the fact that it was never designed to be used as a trail bike and so from the outset the geometry was always slightly off; the pegs just not sat quite right to give good posture on the bars, which even with risers never gave a good aggressive stance for when pushing on. That’s not to say it couldn’t and wasn’t used far more aggressively with the Rally Raid changes made and as a travel bike it worked perfectly, but the 310 GS for me has responded much better to the treatment in terms of making it more capable on pure dirt roads. It feels much more like a scrambler, everything set right to give you the best stance and posture for pushing on. Some will write it off for being under-powered or still too heavy, but a well ridden 310 GS with the Rally Raid kit will out-pace almost all adventure machines in the dirt, all up until the point at which pure power comes into play. The only negative remains that light fly-wheel, which does lead to frequent stalling if you don’t get on the clutch at low revs. There’s also the issue of the 19-inch front wheel, which is of wider profile than you’d get with a slimmer 21-inch front. 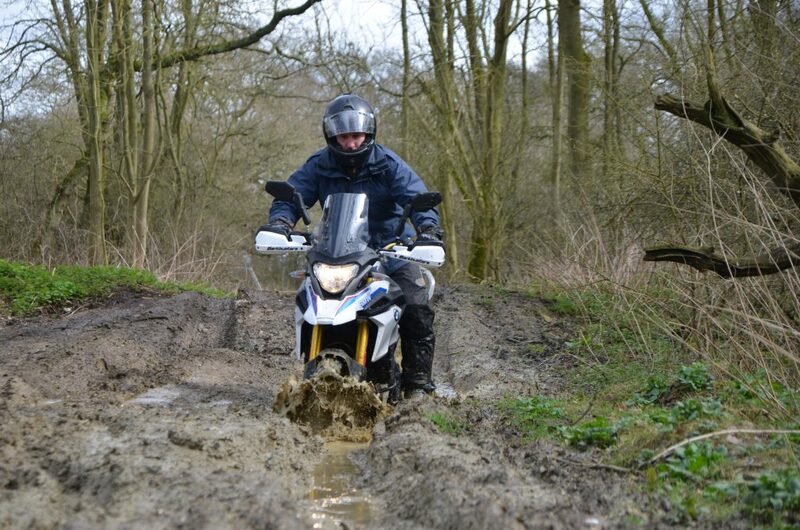 It means that it will struggle that bit more for traction and grip in claggy muddy conditions. It’ll also be more prone to washing away on off-camber and rutted terrain. In drier hard pack terrain it’ll be absolutely fine, but along the wet lanes of Northampton it just wanted to push wide that little bit. A 21-inch front wheel would have been the solution but from a practical, and aesthetic point of view, that wasn’t an option for the 310 GS. 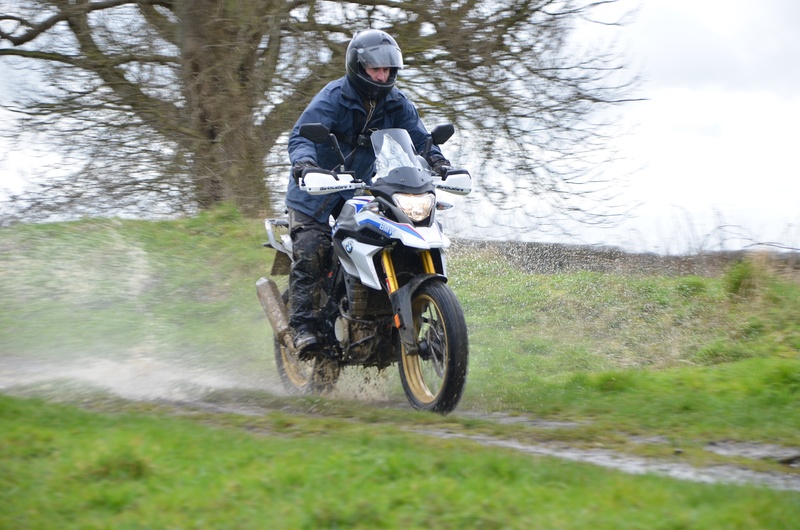 Riding the Rally Raid GS alongside a stock Himalayan on a claggy wet Northamptonshire lane revealed how the latter bike generated more friendly and useable grip than the 310 GS. The long stroke motor caused less rear wheel spin, and the more tractable engine made for an easier and more controlled ride. On a faster, more open flowing terrain then the longer travel suspension of the 310 GS, combined with its higher power output and more aggressive standingbposition would reverse the roles and leave the Himalayan trailing. They are bikes that shine in very different circumstances. 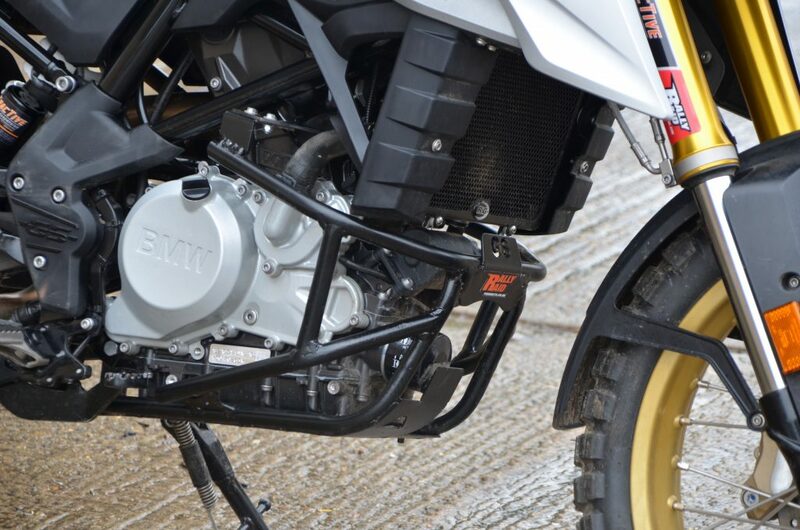 Renthal bars and bar risers transform the riding position of the 310 GS, whilst the Powerbronze screen has been designed to take into account Barkbuster hand guards. It’s hard to fault what Rally Raid has done in taking an average basic bike and fitting high spec equipment, using knowledge and expertise honed over the years, to make a machine that quite frankly BMW could never put into production given the price point and the slightly niche nature of it. If BMW does go on to build its own Adventure model it would still more than likely fall short of what Rally Raid has achieved. It wouldn’t have the same grade of suspension, it’d probably lack tubeless rim options, and basics such as the engine guard and auxiliary power plate on the top yoke wouldn’t have the focus and attention to detail – born out of hands-on research – that a small company such as Rally Raid is able to achieve. It’s a boutique bike in many ways; its value coming from the fact that it could never have been the result of mass production. In a way the 310 GS and the modifications made by Rally Raid point at the direction we’re heading with the motorcycle industry. Global bikes are becoming the norm. Global bikes have to be built to a particular price point. Buyers in western markets with stagnant wages expect more bike for their money than ever before. In order to produce a bike the market is willing to pay compromises have to be made. The standard 310 GS is heavily compromised to bring it in a particular price point. The Rally Raid kit makes it the bike it could always have been. But the changes come at a cost that some people will find unreasonable. Quality costs, and if you want the best, you have to pay the best. There is no cheap route to quality, as this bike proves. Whether you need to fit the Rally Raid kit to your standard 310 GS depends on what you’re going to do with it. If you’re just doing road miles, then maybe the taller screen and uprated suspension retaining the original ride height would help it along. 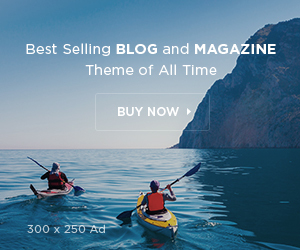 The wheels you could fit from an aesthetic point of view, with the beauty of what Rally Raid do being that you can pick and choose what you want from the catalogue and what you want to spend. 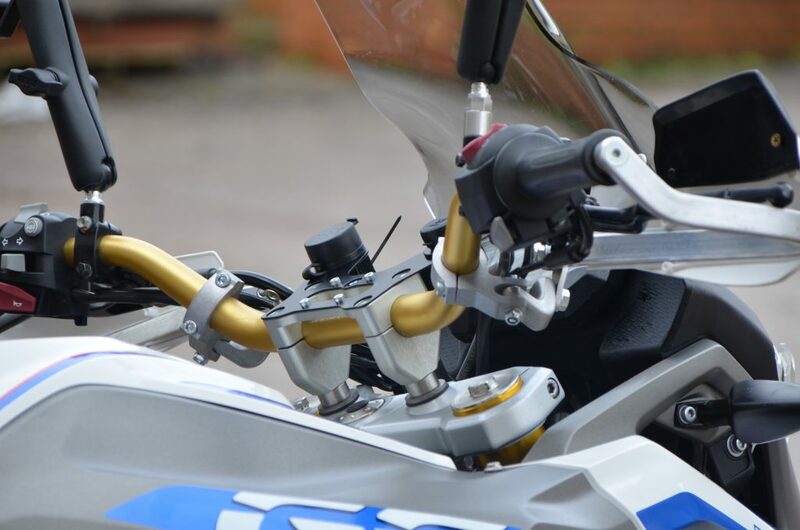 Everything can be bolted on and off to bring it back to stock, with talk of selected BMW dealers supplying and fitting the kit to brand new bikes straight out of the showroom, which could enable buyers to roll the cost into their finance or PCP agreement. 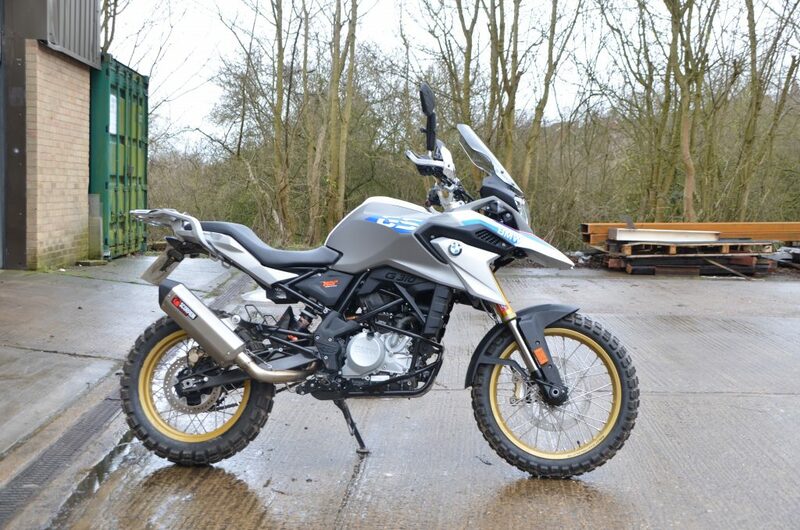 Equally, you could just buy a stock G 310 GS and enjoy it for what it is. For those wanting the best 310 GS money can buy the kit transforms the bike visually, mechanically and dynamically and what I probably like most about it is that it’s been born out of a genuine passion for making good motorbikes. Some will say it’s too expensive or that the 310 GS isn’t a great bike to begin with, but the reality is that most manufacturers are completely neglecting this sector of the market. There’s no new DRZ400, the KLR650 has been discontinued, the Honda 450L costs almost £10,000 and there’s no sign of the KTM390 Adventure people keep speculating about. So in the meantime, if you want a dynamically capable mid-size trail friendly bike there’s not a fat lot to choose from. If you have issue with the Rally Raid G 310 GS, take it up with the other manufacturers first and foremost for not investing in this sector. All in all, that a family-owned British engineering firm is leading the way in performance developments for a global bike such as the G 310 GS is testament to the vision and expertise of Rally Raid. The only question remains; what bike will they turn their hand to next? The detailing of the upgrades really lift the overall sense of quality about the bike. Scorpion exhaust is a single piece unit – header pipe and end can – and gives better sound and character to the engine. The new Rally Raid top yoke incorporates 12v and USB charge points and together with the soft luggage racks and taller touring screen really lift the appeal of the 310 GS as a potential travel bike.